Photo: © Blue Ventures/Garth Cripps. The world’s oceans these days face a growing number of serious threats like overexploitation of living marine resources, habitat degradation/destruction, pollution and climate change impacts. 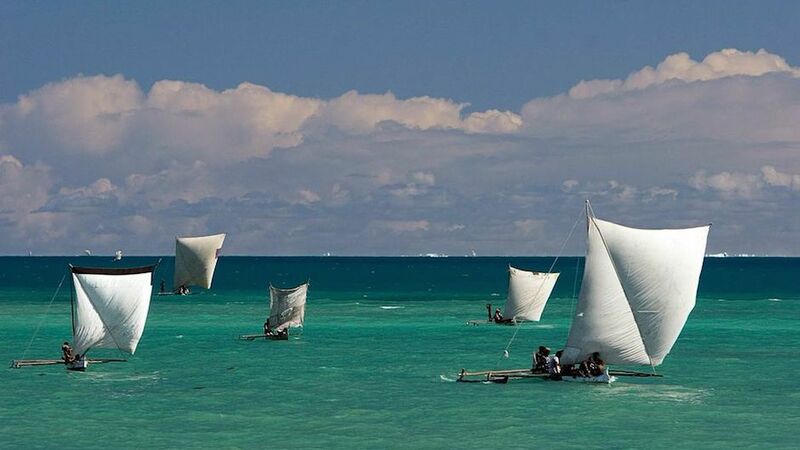 Yet in many corners of the globe, the ocean is integral to local peoples’ cultures and economies. 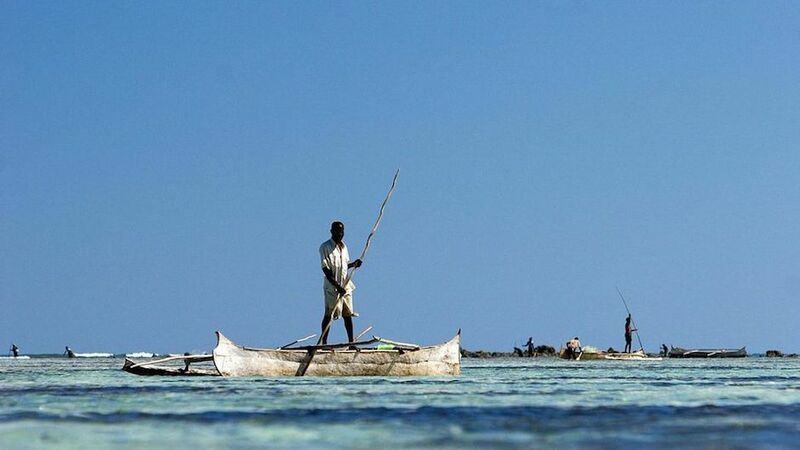 So it’s good news that a first of its kind assessment of community-led marine conservation in the Western Indian Ocean adds to growing evidence that marine conservation works best when local communities are responsible for fisheries management. The study points to “a revolution” in the management of protected areas, says the international team of researchers who authored it, pointing to the fact that almost half of the marine protected areas — more than 11,000 km² — in the Western Indian Ocean are now under local community stewardship. Marine protected areas (MPAs) are zones of the seas and coasts designed to protect wildlife from damage and disturbance and there are more and more of them as countries seek to meet international conservation commitments. To date, MPAs have typically been managed by governments rather than by local communities. “MPAs are vital tools for marine conservation but often fall short of their potential and can have negative impacts on local fishing communities,” said lead author Steve Rocliffe, a PhD researcher with York University’s Environment Department. “Against this backdrop, we’re seeing coastal communities across a vast swathe of the Indian Ocean taking more responsibility for their resources by setting up conservation zones known as ‘locally managed marine areas’ or LMMAs. Just published in PLOS ONE, the study covered 11 coastal and island states stretching from Somalia in the north to South Africa in the south. The inventory summarizes information on 62 local initiatives and 74 MPAs and will give agencies, researchers and government officials an important baseline against which to evaluate future efforts to expand marine conservation in the region. The researchers examined LMMAs in terms of geography, numbers, size and governance structures, comparing them with areas under government stewardship and evaluating their potential contributions towards Convention on Biodiversity targets to effectively conserve 10 percent of marine and coastal ecological regions by 2020. 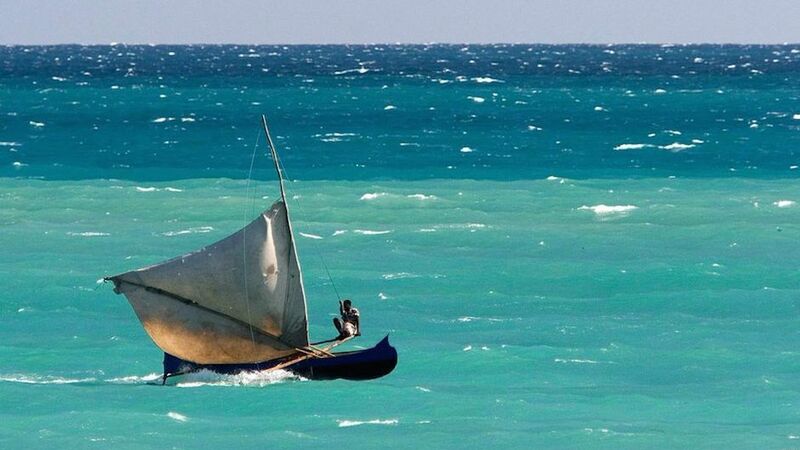 “We found that although locally managed marine areas are hampered by underdeveloped legal structures and enforcement mechanisms, they are emerging as a tool of choice in mainland Tanzania and Madagascar, where they cover 3.5 and 4.2 times more area than centrally managed MPAs respectively,” he said. “LMMAs have proven to be a cost-effective, scaleable, resilient and more socially acceptable alternative to more traditional ‘top down’ methods of marine resource management. They have also shown promise as a means to safeguard food security, address coastal poverty, and help coastal communities to adapt to climate change,” said co-author Shawn Peabody from Blue Ventures, a science-led social enterprise. Please enjoy this informative photo series from Blue Ventures. With less than 2 percent of the world’s oceans under some form of protection and only 15 percent of coral reef Marine Protected Areas considered as effectively managed, community led marine conservation can help to address some of the most pressing challenges facing the world’s oceans. Photo: © Blue Ventures/Garth Cripps. 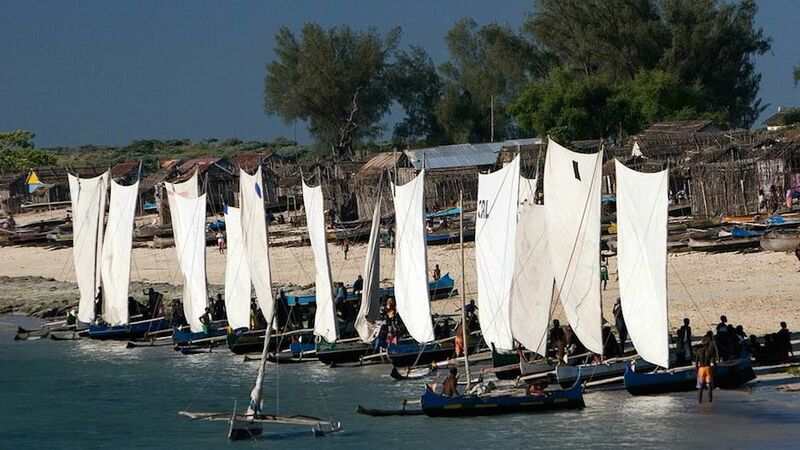 The village of Andavadoaka is the largest community in the Velondriake LMMA in southwest Madagascar. Here small-scale fishing accounts for 82 percent of household income. Photo: © Blue Ventures/Garth Cripps. 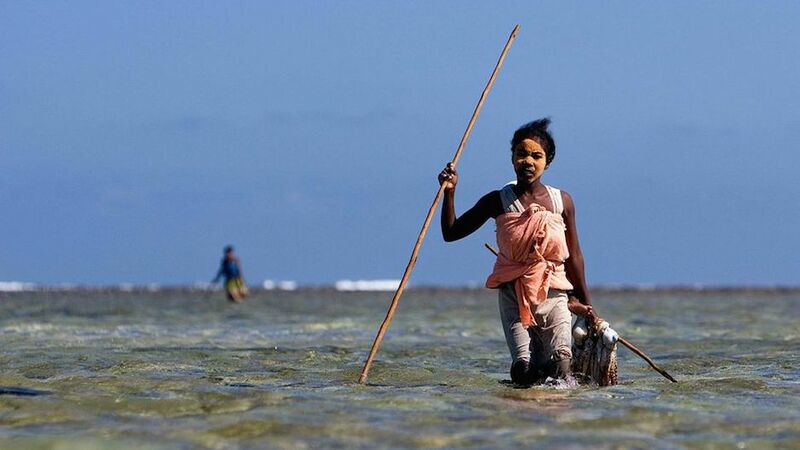 Small-scale fisheries support the livelihoods of over 500 million people worldwide. Training and supporting communities to manage and conserve their natural resources is vital to help rebuild tropical fisheries. Photo: © Blue Ventures/Garth Cripps. More than 1 billion people throughout the world rely on seafood as a source of protein. Managing fisheries sustainably is vital for ensuring global food security. Photo: © Blue Ventures/Garth Cripps. 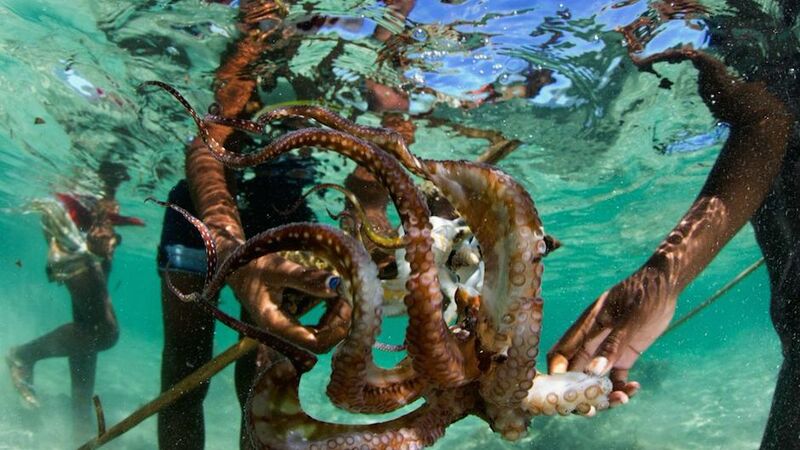 Octopus gleaning is a vital source of income for the people of the Velondriake LMMA, with the majority of catches sold to local collectors and exported to overseas markets. Photo: © Blue Ventures/Garth Cripps. 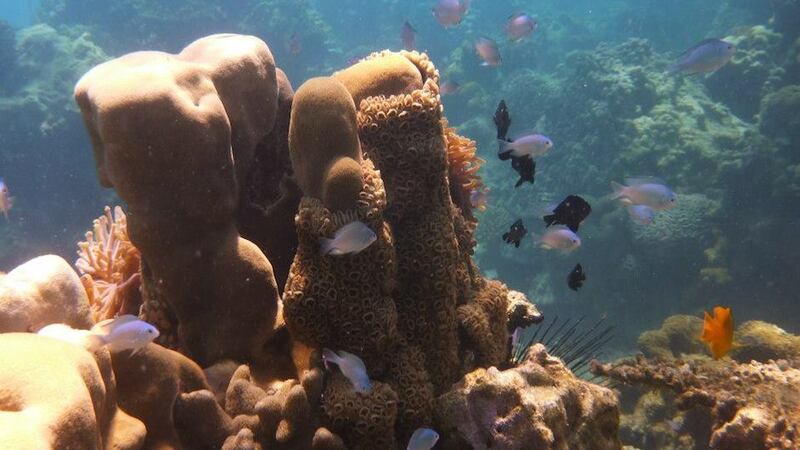 Globally around 500 million people are dependent on coral reefs for food or income. Community managed protected areas are vital for protecting fisheries and safeguarding marine biodiversity. Photo: Frontierofficial. Creative Commons BY-NC-SA (cropped). Local Communities Playing Vital Role in Marine Conservation by Carol Smith is licensed under a Creative Commons Attribution-NonCommercial-ShareAlike 4.0 International License.